Provides museum tours and programs for pre-k and kindergarten classes/groups. Classes for pre-K and family programs. Special exhibit areas for children 6 years of age and younger. Outreach programs, classes and camps for children 6 and younger. The Boone/Winnebago Regional Office of Education provides services to educators and school districts in Boone and Winnebago Counties in Northern Illinois, including credentialing and licensure. View a listing of public schools in Boone County. View a listing of schools in Harlem School District 122. View a listing of schools in Rockford Public School District 205. View a listing of public schools in outlying areas of Winnebago County. View a listing of private and parochial schools in Winnebago and Boone Counties. The’Illinois State Board of’Education will provide leadership,’assistance, resources and advocacy so ‘that every student is prepared’to’succeed in’careers and postsecondary education, and share accountability’for doing so’with’districts and schools. Eligibility for Head Start services is based on family income. The program strives to maximize a child’s strengths and provide a rich environment by providing each child a variety of successful experiences. Family support services, information and referrals assist parents and caretakers in their efforts to meet the basic needs of all family members. The Illinois Head Start Association (IHSA) was incorporated in 1978 to represent and provide services for all members of the Head Start community:’directors, staff, parents, and friends.’The Association is committed to enhancing the development of children, empowering families and strengthening communities. In the advocacy role, the Association speaks in a unified voice and acts on issues affecting children and families. It provides professional development opportunities for all members through conferences and institutes and awards training scholarships annually. Serves Boone, DeKalb, Grundy, Kane&Kendall Counties. The Illinois Early Learning Project Web site is a source of evidence-based, reliable information on early care and education for parents, caregivers, and teachers of young children in Illinois. The Web site offers printable Tip Sheets for caregivers and parents in English, Spanish, and Polish; answers to Frequently Asked Questions; a customized question-answering service; a statewide calendar of events for parents and caregivers; an easy-to-use database of links to “the best of the Web” on topics related to early care and education; activities related to the Illinois Early Learning Standard Benchmarks; the Illinois Projects in Practice Web site; and periodic “Ask an Expert” events. The IEL Web site became publicly accessible in November 2001. Offers a variety of direct and consultative services to member Northwestern Illinois school districts (over 70 served). Services for children 3-21 years include: assistive technology; audiology; vision; consultation team for children with autism spectrum disorders; orthopedic and multiple impairments; physical therapy; occupational therapy; supported employment; early childhood&life skills supervision; and inclusion facilitation. Deaf and Hard of Hearing Classroom in Eligin. Professional development programs are offered for educators, paraprofessionals, and parents. Parents should register their children through their home district first to access services. 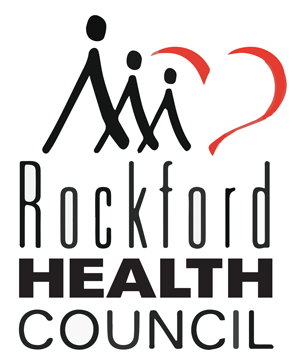 The Autism Library is offered free of charge through the Rockford Office. M-F 8-4:30. Provides multiple services to promote independent living for indviduals with a disability. Provides youth education and advocacy- including individual education plan (IEP) specialists, individual and systemic advocacy, peer support, community education, deaf services, information and referrals, equipment loaning, accessibility assessments, independent living skills training, community re-integration program, brain injury case management, and personal assistant services. Accepts students 3-21 years from NW Illinois with primary diagnosis of autism, cognitive delay, behavioral disorder, or emotional disorder, must be approved by school district of origin as part of individual education plan. Child Find is a component of Individuals with Disabilities Education Act (IDEA) that requires states to identify, locate, and evaluate all children with disabilities, aged birth to 21, who are in need of early intervention or special education services. This Child Find web site is mainly focused on Part C of the IDEA, the Early Intervention Program for Infants and Toddlers with Disabilities. However, much of the information and many of the links listed on the Child Find web site can be useful in conducting child find for all young children, not just child find for infants and toddlers. The purpose of the Community College Initiative (CCI) is to encourage people with disabilities to pursue college training that will’enhance skills and provide for greater employment opportunities. Department of Rehabilitation Services (DRS) believes that up to 1,500 individuals may benefit from the initiative through the end of the ARRA funding in September 2011. Offers GED classes, two-year associate degrees, transfer programs, vocational programs in a variety of fields and adult/continuing education. This link is to a listing of Illinois Community Colleges. The Community Foundation administers over 60 active scholarship funds on behalf of generous individuals, businesses, and service groups.’ Scholarships are available for students completing high school who are pursuing the challenge and benefits of higher education, current college students, and non-traditional students seeking to return to school.’ Scholarship funds are limited to 1) accredited institutions and 2) private non-profit or publicly supported institutions. Review the criteria below to see which scholarships you are a good fit for you. This division sponsors a competitive scholarship opportunity for qualified students for post secondary education. 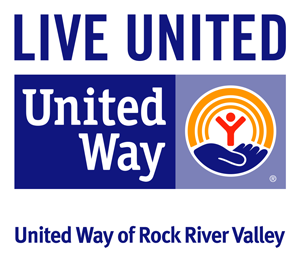 Applicants must have household income below 125% of the federal poverty level, reside in Winnebago or Boone County, and plan on attending a post secondary accredited school or training program located in the state of Illinois. There is no age requirement. Applications are usually released in January through media announcement and then available at our location and on our website with deadline for return in March. Call for more details as programming, qualifications, and funding availability may change. Illinois has scholarships and grants to suit just about every type of student. If you are a nurse, medical student or teacher, there are a number of attractive incentive programs designed to keep you studying and working within the state. Apply at the Boone/Winnebago Regional Office of Education. Applications accepted M-F from 8am-3:30 pm. $50 application fee is valid for one year.